General notes and comments: Downstairs furnace was turned off due to higher ambient temperatures. Summary of suits and radios: Two radios have been stuck in privacy and NOAA weather radio mode, respectively since we arrived. Following the radio’s manual did not fix them. Notes describing the issues have been clipped to the radios to assist future troubleshooting and identify them as not working. We still have plenty of radios working so it is not urgent. Summary of Hab operations: Replaced the air filter in the heater in the lower-deck. Heater upstairs is nominal and currently used. Summary of Green Hab operations: GreenHab smoke detector was beeping (it seems it was low in battery). Replacing its AA batteries fixed the problem. Questions, concerns and requests to Mission Support: Due to strong winds a white canvas flew towards the tunnels. We believe it belongs to Director’s compound. Changes to crops: A pot of “Mystery Greens” was planted(see narrative below). A. Thaliana was planted in regolith-type substrates according to the mission plan. Narrative: The door to the GreenHab was opened at 0954 hrs, due to an observed temperature of 25ºC. The Smoke/CO Detector began chirping an error code at 1018 hrs, so the GreenHab Officer notified the Health and Safety Officer and Crew Engineer, and then replaced the two ‘AA’ batteries. A test was performed on the detector, and it was remounted on its bracket. 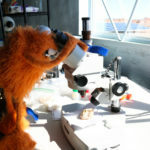 The GreenHab Officer spent the morning performing an inventory of the MDRS Seed Bank, only to find that some of the seed packets had been spilled in the can. 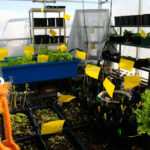 The GreenHab Officer had a working lunch, in order to get the loose seeds re-sorted by type, and placed back into appropriate packets. 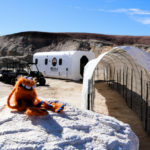 Only one variety did not have a corresponding packet, and those seeds appeared to be a microgreen mix, so the GreenHab Officer discussed the matter with the Commander, and then planted the loose seeds in a pot labeled “Mystery Greens.” The crew intends to positively identify this group before departing MDRS and will be capable of reporting the group’s progress. The Comms Officer stopped by to assist with the removal of 200g (wet mass) of dead carrot biomass, as well as the harvesting of 2g of sage. The GreenHab door was closed at 1418 hrs, due to excessive wind gusts, and reopened at 1437 hrs to resume temperature regulation as winds calmed. The door was closed again by 1530 hrs as winds picked back up, but exterior thermo-regulation was no longer required. 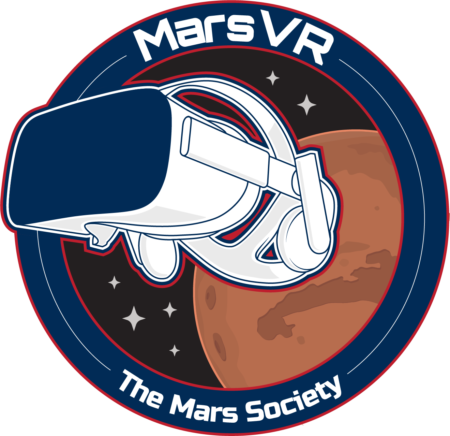 The MDRS Seed Bank Inventory was digitized by common name, scientific name, and cultivar based on information given on seed packets, and will be continuously improved prior to departure of Crew 205. Objects Viewed: No observational session was requested for tonight. I am waiting for a clear sky for the observations submitted in 13 Feb. We wanted to submit the SY MON photometry measurement to the AAVSO However, some errors were found. The CCD setting was not correct, and there are better options to select comparison stars. As the new set up was inserted and new comparison stars were selected, the new measured value for the SY MON star was found to be 13.918. However, the magnitude value of the check star was unreasonable and was reported to observatory director. The crew astronomer used another method to calculate the magnitude value for the target. He measured the instrumental magnitude directly from the software and performed the calculation manually. The magnitude value was found to be 14.118. The value was also reported to observatory director. Sol Activity Summary: The weather on Mars this morning was much more pleasant than on Sol 4. The sky was clear, but the muddy conditions persisted until late morning when the heat of the day started to clear the landscape of its saturation. 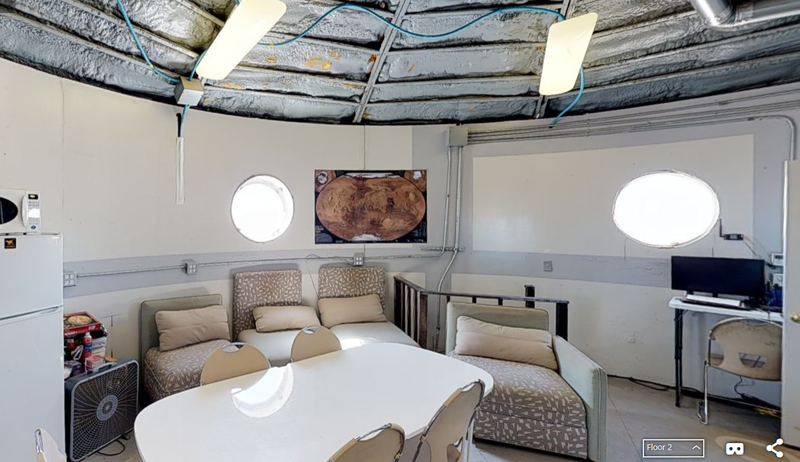 There was no EVA today due to the unsafe ground conditions, so the sol was spent catching up on paperwork, characterizing regolith samples in the Science Dome, cleaning, and working in the GreenHab. The ISRU project reached a pivotal point today, with the Arabidopsis thaliana germinations completed and the seedlings transferred to regolith samples collected on previous EVAs using an agar media plug. Those experiments are now in the GreenHab and will stay there for the duration of the experiment. The team also made headway on our EVA optimization project. We finished designing our quantitative study to evaluate the effectiveness of EVAs and will be applying the measure to upcoming EVAs. We also worked on designing pre and post check lists for future crews to make EVAs safer, more efficient, and easier which will be available at the end of the mission. 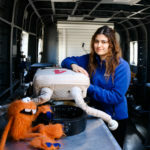 The crew’s journalist worked all day on her media and outreach project, interviewing each crewmember about their role, and recording while everyone was working. She is also designing and outreach video for kids. After the communications window and an Irish meal of shepherd’s pie tonight, the team will have our nightly meeting and leadership handover to discuss tomorrow. Look Ahead Plan: Weather permitting tomorrow, the crew will go on EVA to continue geological sampling and testing of EVA checklists, procedures, and quantitative measures of effectiveness. 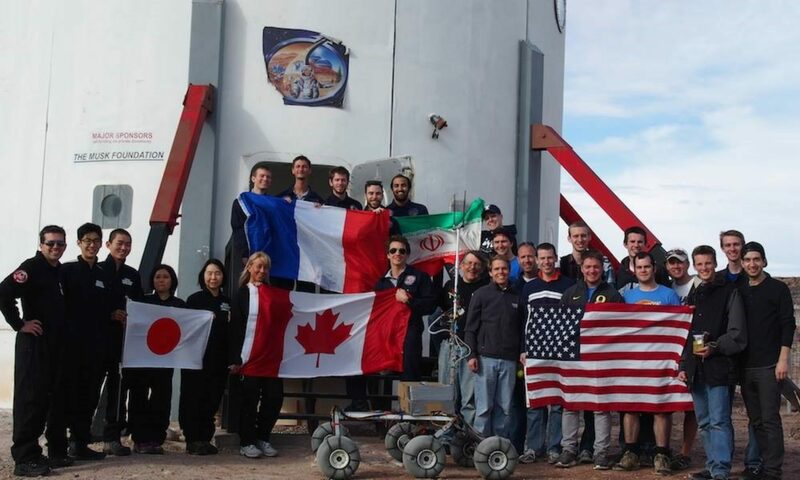 Otherwise, we will continue refining the SOPs and other documentation to improve the workflow of future crews and continue to work in the laboratory. Tomorrow will also see another rotation of Commander and Executive Officer, so a new day will bring new leadership. Weather: Partly cloudy with high winds throughout the day. Today we had no EVAs scheduled due to the rainy weather conditions of last night. This means we had time to focus on our science objectives and for the crew journalist to start to interviews the crew. Today’s commander is Nathan with Veronica as XO. Yesterday Natalia found a Martian during the EVA! As we did not know if the Martian will be friendly or not, we had to keep the little guy in isolation. Today Natalia approached him and named him Gus. Gus seems to be a very friendly Martian and happy to follow us on all our activities. 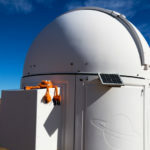 In the morning Gus followed crew astronomer Ghanim around who explained to him everything about variable stars and how to observe them with the telescope we have here at the hab. Later on, he was very interested in the Science Dome and helped Nathan analyzing his rock samples. 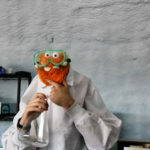 In the Green Hab Gus checked out how we grow plants on Mars and how Dave is planting new seeds. Gus also learned how we maintain the Hab and the space suits by following Veronica around. The space suits were so interesting that Gus wanted to try one on and Hannah gave him a radio and Gus tried on a space suit. He also talked to Daniel and he learned everything about safety and what it takes to be a Mars astronaut. 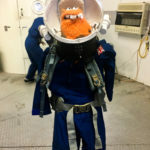 Gus is now our newest crew member and you will see him around as he wants to learn more about our habitat and Mars.